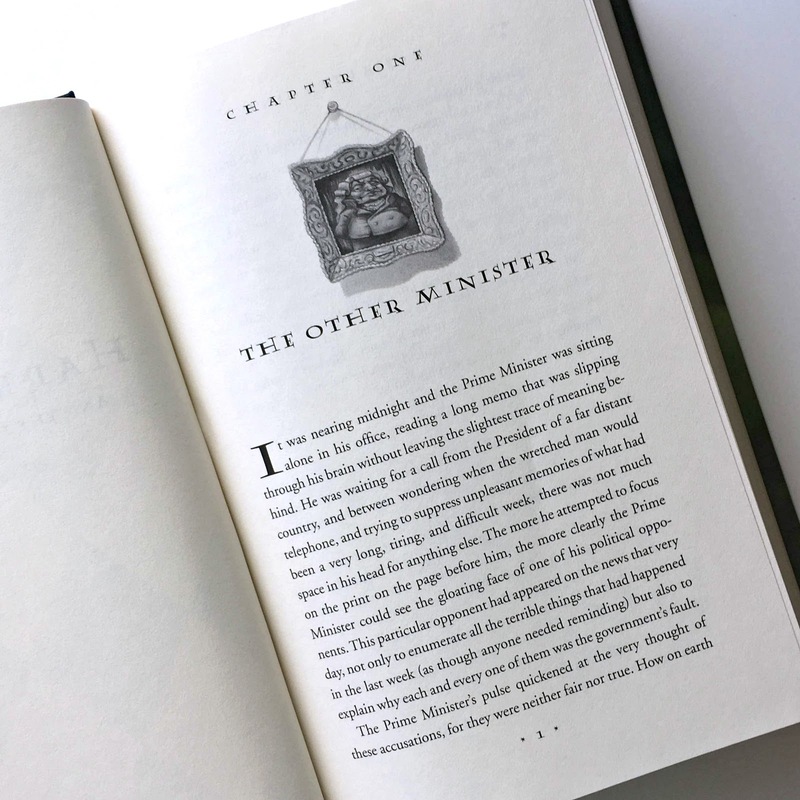 Is there anything not to love about Harry Potter and the Half-Blood Prince? Harry's one-on-one lessons with Dumbledore and the friendship between them as they press forward in the fight against Voldemort is simply fantastic. It is evident from the beginning of the novel when Dumbledore arrives at the Dursley's and takes Harry with him to visit Horace Slughorn, that readers will get to see more of this teacher-student camaraderie than ever before. Even though Slughorn's so-called Slug Club is annoying and ridiculous--as is Harry's dependence on the Half-Blood Prince's textbook to cheat his way through Potions--Slughorn's presence brings with it the presence of the Felix Felicitus potion and the horcrux memory so crucial to knowing how to fight Voldemort. Though some readers find Slughorn as annoying as they found Gilderoy Lockhart, I find him far more interesting and necessary of a character. 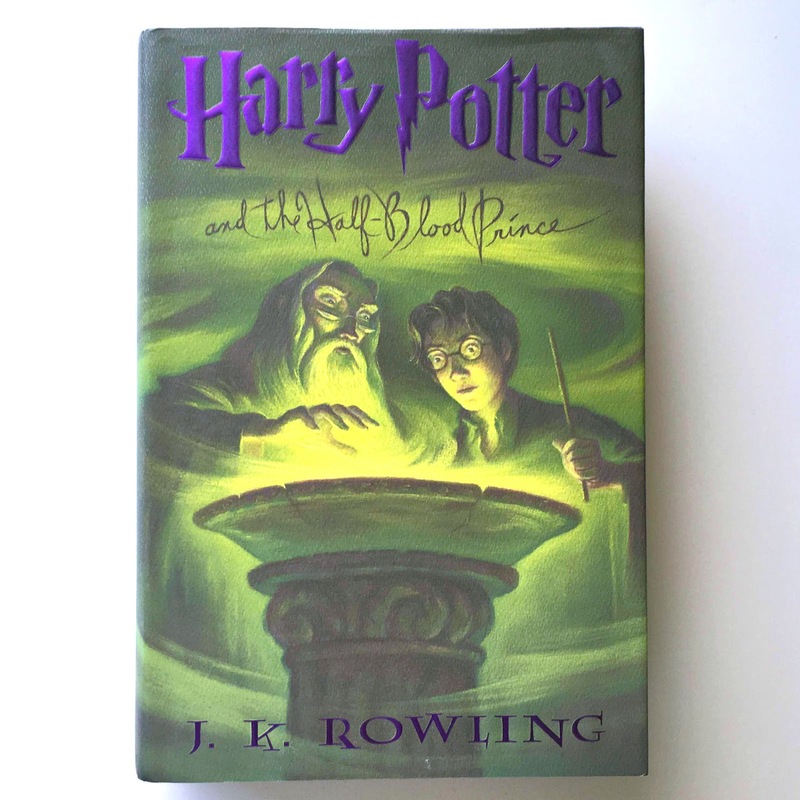 Even though I've read this book a few times, I find myself slowing down and having to set it aside once Harry rushes to grab his invisibility cloak, tells Hermoine and Ron he's about to set out with Dumbledore, and advises them to distribute and use the remaining Felix Felicitus potion and to be on alert for an attack. [Spoiler alerts from here on out.] I love the conclusion of the series so much and yet I love/hate reading it. I find myself putting the book down, then picking it up and reading a few pages, then putting it down again, and the cycle repeats. So much occurs that it's difficult to take it all in stride: the journey to the cave, the inferi, Dumbledore drinking the water to get the locket, the locket being a fake, the Death Eater's mark above Hogwarts, the scene with Draco and Snape on top of the tower, Dumbledore's death and Snape's escape, the battle inside the school, Hagrid's house being set afire and when learns of Dumbledore's death, Fawkes' song mourning Dumbledore's death, the funeral, Harry saying goodbye to Ginny, and then Hermoine and Ron volunteering to leave Hogwarts and join Harry in his ultimate battle to kill Voldemort. I can't handle it. It's so great and so sad and so exciting and so awful and so wonderful. (1) Albus Dumbledore's words to Harry within Tom Riddle's cave: "There is nothing to be feared from a body, Harry, any more than there is anything to be feared from the darkness...It is the unknown we fear when we look upon death and darkness, nothing more." Considering what happens thereafter, it's perfect that some of the last words Dumbledore uttered to Harry in a relative moment of peace before the storm were about setting aside fear of death and choosing to embrace bravery. (2) Harry speaking about Album Dumbledore's departure from Hogwarts: "He will only be gone from the school when none here are loyal to him." I like this line not just because of Harry's loyalty to Dumbledore, but because it creates a full-circle moment between this experience and the foreshadowing within Harry Potter and the Chamber of Secrets when Harry likewise declared his loyalty to Dumbledore and was rewarded with the appearance of Fawkes, the sorting hat, and the sword of Gryffindor. His reward here is less tangible, but no less significant. (3) Severus Snape to Harry: "DON'T CALL ME A COWARD!" A round of applause to J.K. Rowling for the masterful characterization of Severus Snape. While readers don't learn his full story until the final pages of book seven, I love how complicated his character is. He isn't good, he isn't bad, he's completely messed up in this liminal space between the two and I adore Rowling for making him this way. (4) Luna Lovegood to Harry: "I liked the DA too. It was like having friends." Does anyone else's heart completely break for Luna? Like Snape, she's so important to the storyline even if she has a smaller role to play. I adore her. So many things about her are endearing: the loss of her mother, the bullying she endures, her sweetness, her loyalty to her father, her ready willingness to join the DA and fight alongside Harry regardless of the cost, and the fact that she and Neville continued to carry the DA coins in their pocket long after the meetings ended. Three cheers for Luna! I think she shows children that it's okay to be different just as it's essential to be kind. (5) Harry's thoughts at the conclusion of the novel: "But he understood at last what Dumbledore had been trying to tell him. It was, he thought, the difference between being dragged into the arena to face a battle to the death and walking into the arena with your head held high. Some people, perhaps, would say that there was little to choose between the two ways, but Dumbledore knew—and so do I, thought Harry, with a rush of fierce pride, and so did my parents—that there was all the difference in the world." If you're not crying at the conclusion of this book, what is up with you? If you're reading this review, then you're likely team Harry and you find the banning of the book ridiculous. While the books are certainly not appropriate for all ages, the messages within them are beautiful. Those who call the books anti-Christian must be unfamiliar with basic literary concepts like metaphor, analogy, and allegory, among others. Perhaps this is nowhere as clearly evident as it is within the scene in the cave as Dumbledore submits to drinking the water cup by cup. It's such a powerful scene and testament to sacrifice and courage. More importantly, this moment resounds with readers regardless of religious belief and background because it speaks to the depths of love, a power to which we can each relate. What's your favorite element of Harry Potter and the Half-Blood Prince? I'll be posting my final review of Harry Potter and the Deathly Hallows on Monday followed by my reaction to Harry Potter and the Cursed Child late next week. I can't wait to hear what each of you think as you read it yourself!